Our lab tests revealed excessive levels of lead in two models of fidget spinners. The Fidget Wild Premium Spinner Brass center circle tested for 33,000 ppm of lead and its arm tested for 22,000 ppm of lead. Our researchers identified three simple games for children between ages three and six years that contain small parts, yet lack a warning label or any age labeling. Small parts are acceptable in toys for children this age, provided the toy includes a choke hazard warning. We purchased a “Peg Game” as well as “Football” and “Golf” travel game sets containing very small parts that pose a choke hazard. Almost all of the balloons packages we inspected in stores included the required warning label, complete with language warning that children under eight can choke on balloons and balloon parts. 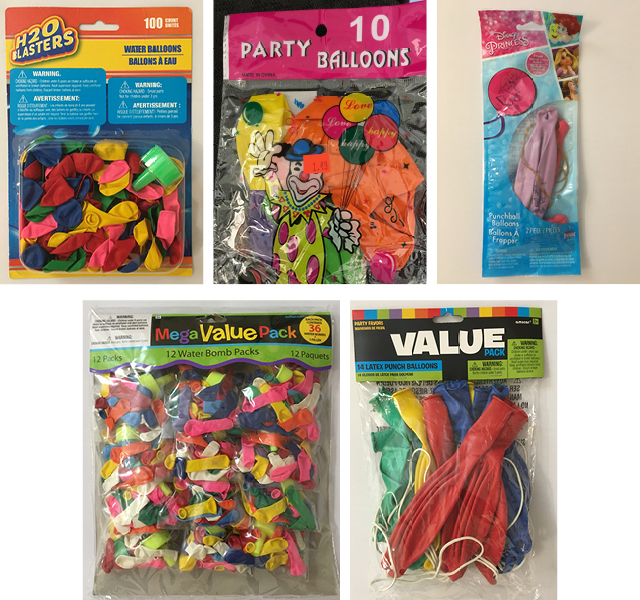 However, we continue to find balloons marketed to children under eight that also include an indication that the product is for children ages 3 and older, or contain a second label with a small parts warning that the balloons are not for children under 3 years, which can be confusing for shoppers. Additionally, we found one balloon set which did not contain the requisite warning label that children under eight can choke on balloons and balloon parts. The number of connected products grows daily. Websites, mobile apps and products, including children’s watches and toys, are all capable of collecting information about and tracking users, including children under 13. As an example of a toy that may pose privacy problems, we list a popular doll, “My Friend Cayla.” The doll has been banned in Germany for privacy violations and is the subject of a complaint by several consumer groups to the U.S. Federal Trade Commission because it may violate the Children’s Online Privacy Protection Act.